Property easements enable a third party to access a portion of someone else’s property for a specific use – most commonly as a right of way or to enable service maintenance by public utilities such as electric, water or sewerage. If, for example, the only way to access property B from the main road is through an alley or driveway on neighboring property A, then property A may be burdened with an easement that benefits property B. Similarly, if electric lines are located above property A and property B, then both properties may be burdened with easements that benefit the electric company, which is allowed to access either property for purposes of repair or maintenance of the lines. Homeowners whose land is burdened by an easement are not permitted to build any structure on or over the easement land, or to use the easement in any way which interferes with the rights of the benefited party. If they do, the person or utility company who benefits from the easement could sue the homeowner who is obstructing their use – or even destroy the new structure in order to gain access to the easement, without being liable for damage. 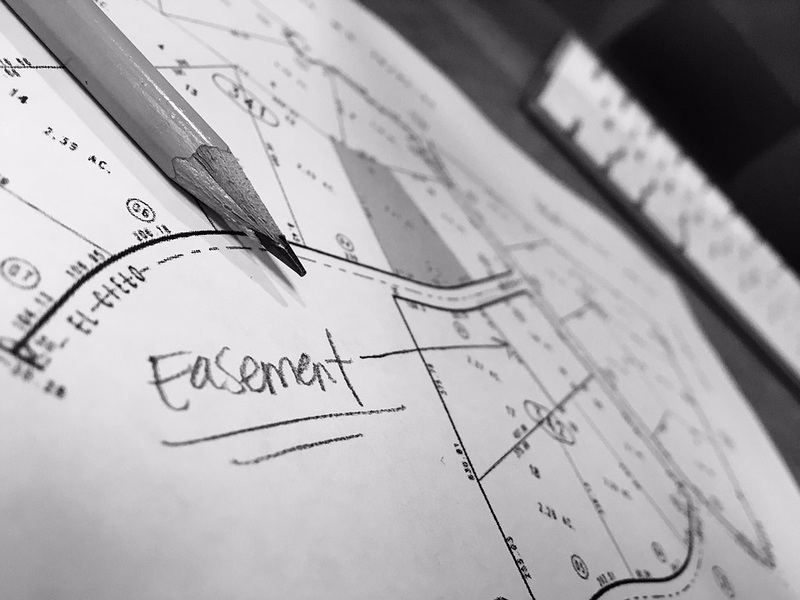 The escrow company will order a title search of the public records for easements along with any liens or encroachments, and identify them in full in the preliminary title report before closing. Agents and clients are encouraged to read the preliminary report with care before that all important closing takes place.